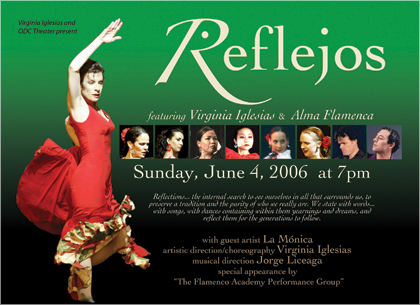 Virginia Iglesias artistic director, choreographer, presents “REFLEJOS”, an evening of premiere works showcasing “Alma Flamenca” performance company. 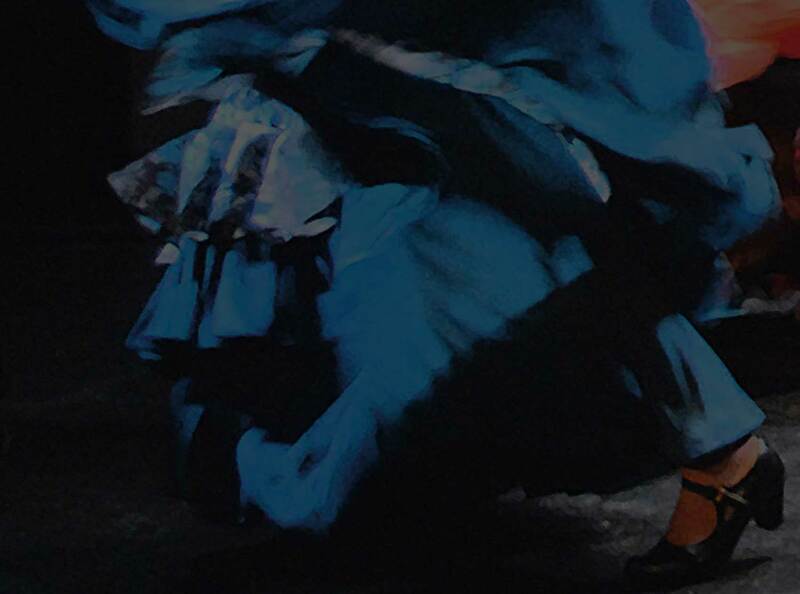 A vibrant ensemble of dancers and musicians/ dynamic choreographies and original musical scores by composer Jorge Liceaga. Special appearance by the “Flamenco Academy Performance Group”. 40 artists fill the stage to create an unforgettable evening of music and dance! ODC Theater, 3153 17th St. @ Shotwell, San Francisco. Performance Type(s): Student Performance. Performance Name(s): Reflejos.